Following last week’s widely contested presidential election result in the Democratic Republic of the Congo, Tristan Puri provides an overview of the current political uncertainty in the country. This briefing note highlights the threats presented to foreign investors by the possibility of escalating violence, potential further sanctions on DRC officials, and regulatory risk within the mining sector. On Thursday 10 January, the electoral commission of the Democratic Republic of the Congo announced that Felix Tshisekedi, the leader of the largest opposition coalition in the DRC, had won the country’s presidential election with 38 percent of the vote. Initial shock at what would have represented the country’s first democratic transfer of power – away from president Joseph Kabila’s nominated successor Emmanuel Ramazani Shadary – was quickly replaced by scepticism at the integrity of the result. The results were immediately disputed because they contradicted monitoring by the Catholic Church, a credible independent observer of the polls, which identified Martin Fayulu, another opposition candidate, as the outright winner. Fayulu and his supporters have accused president Kabila of denying Fayulu his victory by taking advantage of Kabila’s influence over the electoral commission to rig the election and form a backdoor power sharing agreement with Tshisekedi. On Saturday 12 January, Fayulu filed an official complaint with the Constitutional Court, demanding a manual recount of the votes. Subsequently, two sets of leaked data from the DRC’s electoral commission were published by credible international media organisations, which appear to corroborate claims of a rigged election. Regional actors have responded promptly. The Southern African Development Community (‘SADC’), an inter-governmental organisation of 14 countries, initially called for a negotiated settlement between all candidates and the formation of a national unity government in the DRC. Yesterday, the African Union issued a last-minute demand for the Constitutional Court to avoid confirming the winner of the election until the dispatch of an AU mission to the country. The French government, the “penholder” for the DRC at the UN Security Council, and former colonial power Belgium have both publicly expressed doubt over the results. Judges at the Constitutional Court are currently deliberating on their next steps, after which one of three decisions will be reached: the Court may uphold Tshisekedi’s victory; it may order a recount; or it may cancel the result and call for a new election. Below, we examine the impact of the current political uncertainty in the DRC for foreign investors. The chart provides an overview of the leading candidates for each province, according to statistics gathered by the Congo Research Group, an independent election observer, in December 2018. This is in lieu of a regional breakdown of election results from the DRC electoral commission, which is yet to be released. Of note, for methodological reasons, the sampling data was compiled according to the pre-2015 provincial system in the DRC; since 2015, the DRC has been divided into 26 smaller provinces. It is uncertain at this stage what course the Constitutional Court will take. The Court has never overturned an election result, and several of its judges have been appointed by the Kabila regime, which may sway the Court towards affirming Tshisekedi’s victory. However, as the DRC comes under increasing pressure from the SADC and the AU, the Court may be compelled to order a re-count or a unity government. In any case, it seems the Kabila regime will likely hold significant influence over the government in the foreseeable future. If sworn in as president, Tshisekedi’s ability to make independent decisions will be significantly hindered. Despite setbacks in the election, the Front Commun Pour Le Congo (‘FCC’), Kabila’s ruling coalition, has retained its majority in the National Assembly, securing 290 out of 500 seats, meaning Kabila’s inner circle will continue to influence lawmaking, and will have the power to appoint a prime minister. The prime minister in turn appoints ministers, as well as military officials, judges and heads of state-owned enterprises, which will no doubt reflect the wishes of Kabila. In the event of a credible re-count it is very possible Fayulu will win, given his reported lead in pre-election polls. Fayulu is a respected businessman and politician in the DRC, with backing from influential opposition figures such as Moise Katumbi, a former governor of the commercially significant Katanga region, and Jean-Pierre Bemba, a former warlord who also retains influence in Katanga. During his election campaign, Fayulu promised to tackle government corruption, and would likely seek to enact drastic policy changes. However, he too would struggle to deconstruct Kabila’s influence over the legislature. The DRC’s new Mining Code, introduced in June 2018, is a subject of substantial concern for foreign investors, and will likely remain in place regardless of the election outcome. The code seeks to impose higher taxes on foreign mining companies, and investors have claimed it will hinder their ability to operate, and stifle investment in the sector. Both Tshisekedi and Fayulu have promised during their campaigns to enact pro-investment policies, including in relation to extractives legislation. However, Tshisekedi’s apparent pact with Kabila will limit his freedom for movement, and Fayulu’s scope for reform will be limited by the FCC’s legislative majority. There is a significant likelihood of a rapid escalation in violence in restive areas of the country, and an increased but still distant possibility of civil war, which could affect the commercially significant Katanga region. 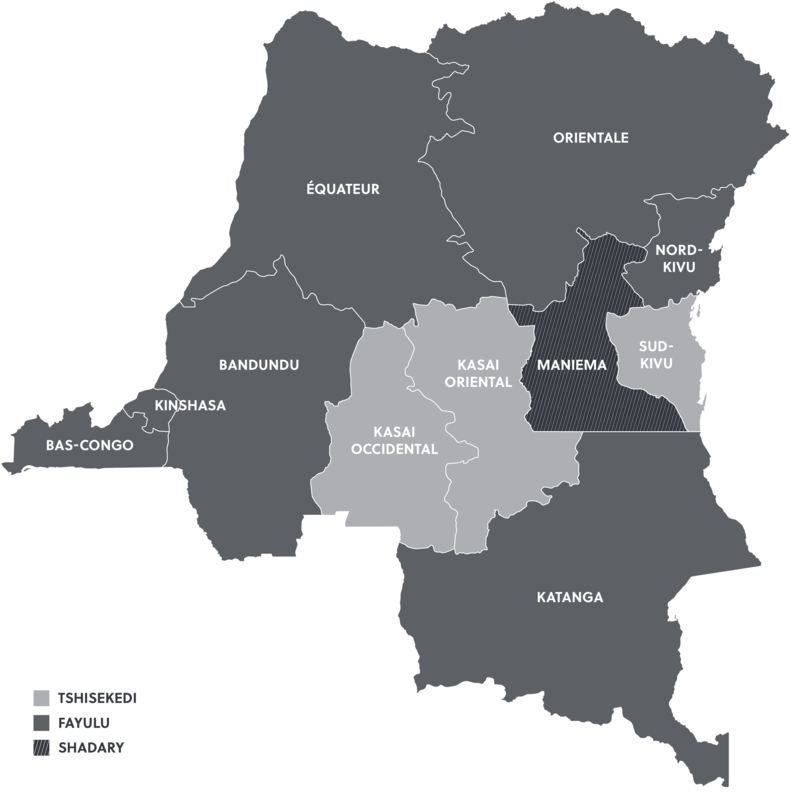 While there has been no mass outbreak of violence surrounding the election, over 100 people were killed in ethnically-driven violence in the eastern provinces of North Kivu and Ituri in the week prior to the election, following news that key opposition strongholds in these provinces would not be voting due to ongoing violence and health crises. A week prior to that, 890 people were killed between the 16 and 18 December in the western town of Yumbi, as a result of ethnically driven violence. The immediate outlook presents further security threats. In the event that Fayulu’s appeal in the courts is rejected, there is a moderate likelihood that appeals by opposition forces in the restive South and North Kivu regions will amplify insecurity. More concerning still, the prospect of Fayulu being denied victory via a rigged election threatens to destabilise the Katanga region, where the vast majority of industrial-scale mining is located. Fayulu has wealthy backers, with historical connections to armed groups. The international community has very little appetite for intervention in the DRC, following several decades of unabating violence in the country, meaning violence in the east, south-east regions and elsewhere could easily escalate. It is likely the international community will impose further sanctions on the DRC in the event of Tshisekedi being sworn in. Several prominent Congolese officials and businessmen have been sanctioned by the US, EU and UN for their involvement in the violent suppression of anti-government protests in December 2016. These sanctions have since been expanded, and in December 2018, the EU renewed sanctions on 14 Congolese officials for their respective roles in this violence. The EU has stated it is willing to review these sanctions in the event of a credible and fair transfer of power, but a Tshisekedi victory would likely be viewed as fraudulent by the international community. This election was initially hailed as the first democratic transfer of power in the DRC since independence in 1960. However, it has been a transfer of power in name only, as Kabila will likely continue to exert substantial influence over the running of the country. In the event of a re-count and a Fayulu victory, Fayulu will still face the monumental challenge of re-shaping deeply entrenched structures in government and business. The implications for business, as well as security in a country that has faced perpetual conflict since the mid-1990s, are still becoming clear. Foreign investors will need to assess the situation closely over the coming months. S-RM has extensive experience of advising clients operating in the DRC, particularly in the extractives industries. Our Crisis Management department provides global and travel threat monitoring, analysis and mitigation services, as well as site security visits to such clients; our Corporate Intelligence team is highly experienced providing due diligence reporting on companies and individuals operating in the country.